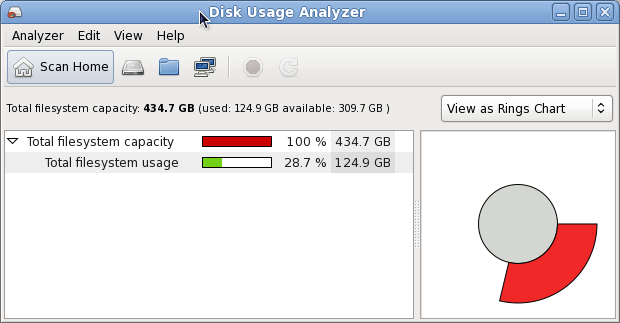 In CentOS and Ubuntu, how do I find out how much free disk space I have left and other disk stats like disk usage? I covered this pretty extensively in a blog post titled: Command Line Tools for Analyzing Disk Usage on Fedora/CentOS/RHEL. It’s ncurses based, feature rich and has a nice clean interface and it works from within a shell. In particular fsview is a very nice GUI. 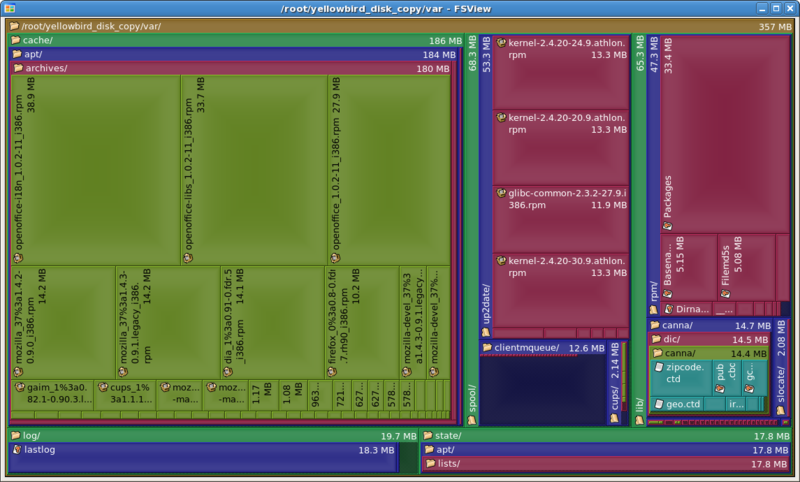 I like how it organizes the disk usage visually. 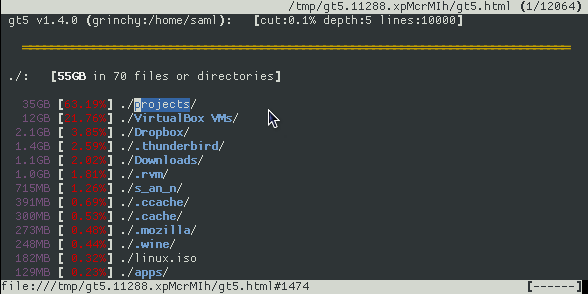 It’s actually a KDE application (a plugin to Konqueror) but runs just fine under GNOME. It’s typically part of a package called kdeaddons, and shows up in the Applications menu as “File System Viewer” under Accessories. Unfortunately this is not available for CentOS as an rpm. How to check disk usage in ftp? Is there easier way to find free disk space in a script than 'df'?